Hotties tires by JConcepts were created to look and perform the part of a performance Drag Racing tire without compromising grip. The front tire has an inspired look with revolved cuts so the driver can feel the straight-line stability with very light rolling resistance. The 2.2” size makes it convenient to fit a host of wheel options including the JConcepts (#3387B) StarTec wheel design. The front tire is designed as a compact shape to fit inside those close quarters of a vehicle while maintaining the crisp response of a race tire. Hotties have raised lettering which can be detailed for shows or displays or simply left without for a sleepy yet devastating look. 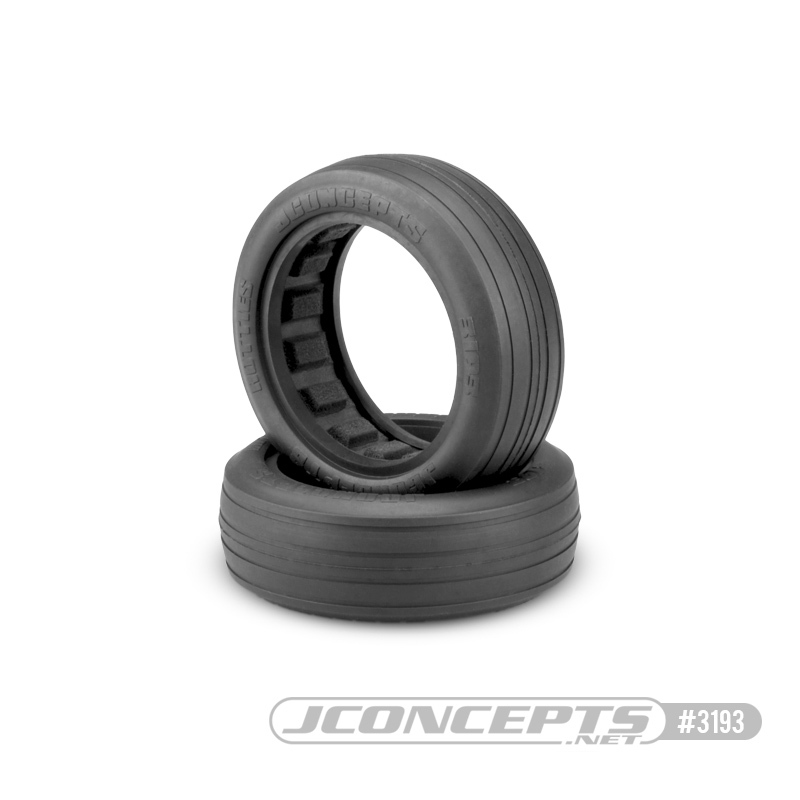 The JConcepts tires include the closed-cell, gray in color Dirt-Tech inserts known for their durability, performance and consistency. The Street Eliminator is the latest in drag racing fun. The chassis are commonly built using a variety of short course truck kits and performance parts but it’s the true hobbyist and build expert who brings out the speed in each vehicle. For a look and break-down of a recommended build, please visit the garage section of the JConcepts.net website.